The average two-year fixed-rate mortgage is now around 2.49 percent while five-year deals are at 2.91 cent, according to data from financial analyst Moneyfacts. This is up from the 2.21 percent for the average rate in October last year for a two-year fixed rate, and 2.76 percent for a five-year agreement. But failing to check their mortgage for a cheaper rate could have left millions of homeowners feeling the pinch of thousand of pounds worth of extra interest charges, mortgage broker Trussle reported. Borrowers could find themselves stung by being transferred onto their lender’s more expensive standard variable rate (SVR) after their fixed mortgage deal comes to an end. Research from Trussel found homeowners were left paying an average of an extra £211 a month – or £2,536 a year – from the difference in interest charges from each provider’s best two-year fixed rate deal to their SVR. This was based on a study of 16 major UK mortgage lenders, and a 25-year mortgage of £150,000 that is 60 per cent of the property’s value. 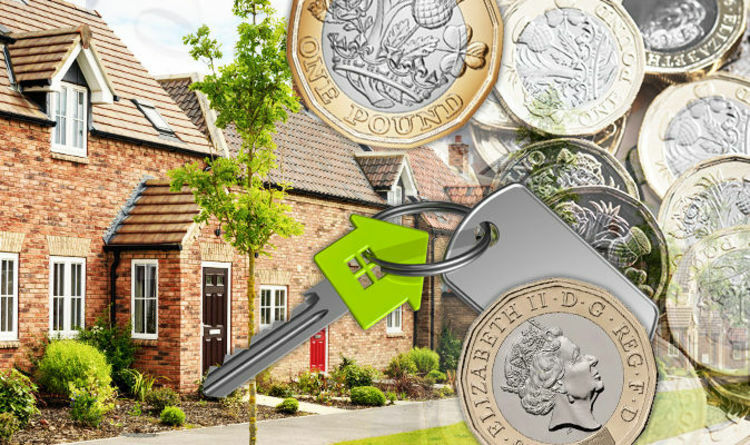 Trussel CEO and founder, Ishaan Malhi, said: “Home owners are essentially being penalised for loyalty and collectively overpaying on interest by billions of pounds every year. Borrowers could also reap financial reward from cutting the length of their mortgage by as little as five years. Rising house prices have seen buyers spread their mortgage repayments over a longer period, but this is not necessarily financial viable in the long term, according to mortgage broker London & Country. The Telegraph reported how a customer could end up paying almost £20,000 more on their mortgage with a longer loan. This is based on research showing how borrowing £200,000 at a rate of 3 percent would see repayments of £948 a month on a 25-year deal, a total of £284,526. While a customer looking at 35-year home loan would pay back £843 a month, and a grand sum of £303,556. David Hollingworth, an expert at mortgage broker London & Country said: “If you can keep the term as short as possible you’ll not only pay off the mortgage more quickly but you’ll pay less interest over the life of the mortgage. “So if you went from a 40 or 35 year mortgage to a more traditional 25 year mortgage, you could be talking about saving tens of thousands in additional interest over the life of the loan. However, homeowners are advised of affordability checks that could occur midway through a current mortgage deal. If this incurs a fee to shorten the repayments, customers may be better off holding out until their current deal is finished. Another trick London & Country suggest could slash overall interest on a mortgage is to overpay – providing a lender does not charge for overpayments. Mr Hollingworth said: “Most mortgage deals would allow you to make overpayments of 10 per cent a year.